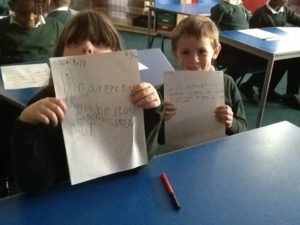 Our topic this term is about ‘Then and Now’ and so far we have covered Guy Fawkes and Remembrance Day. 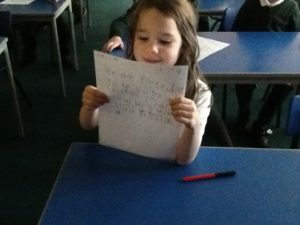 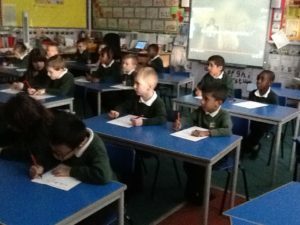 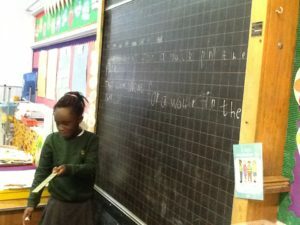 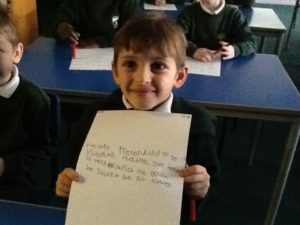 Today we began to learn about school life in Victorian times….it was very interesting and we thoroughly enjoyed it! 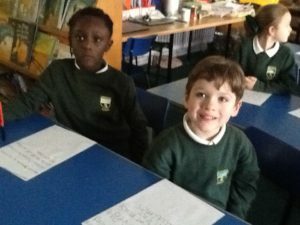 First we learned about how school life was very different 120 years ago. 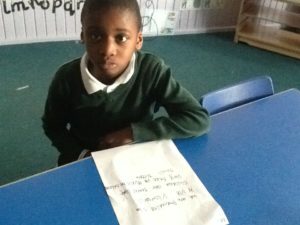 We learned that teachers were very strict and that children were to be seen and not heard. 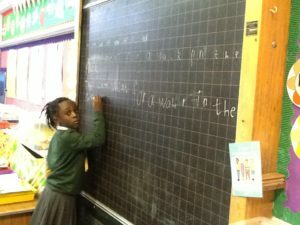 We learned about how classrooms were laid out and that often there were too many children in one class. 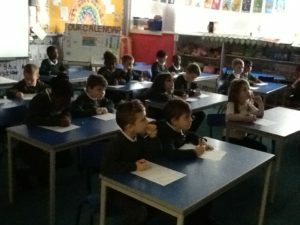 The teacher would stand in front of a blackboard and every child had to sit silently and copy from the board. 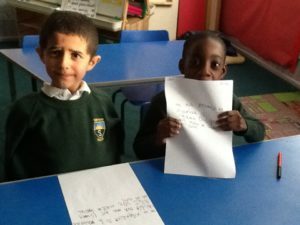 If you spoke out of turn then the teacher would have punishments like the dunce hat, lines on the board or belt. 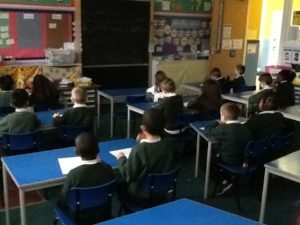 Some of us really liked the strict format this afternoon and others preferred our normal classroom layout. 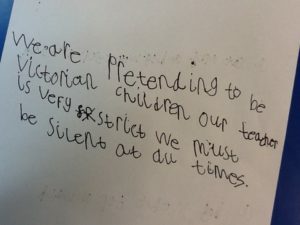 Miss Coutts definitely prefers our normal day-to-day. 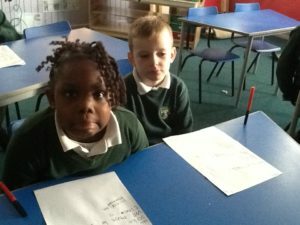 She did not like acting so strict and unkind. 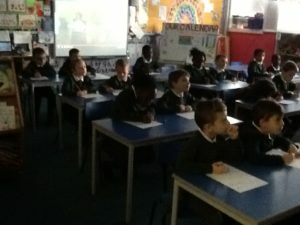 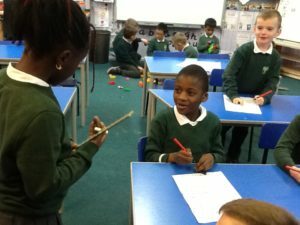 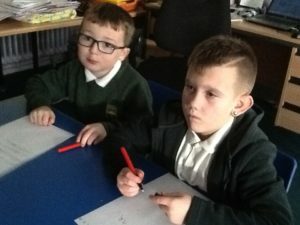 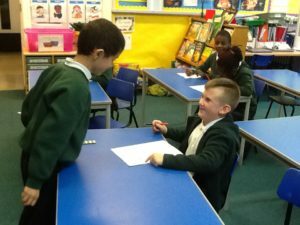 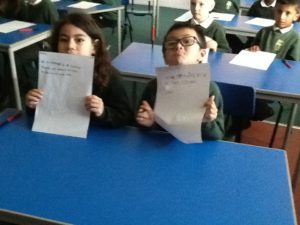 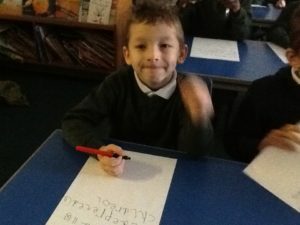 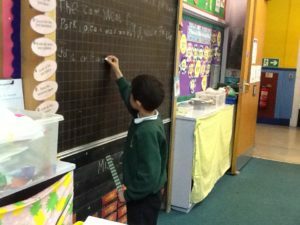 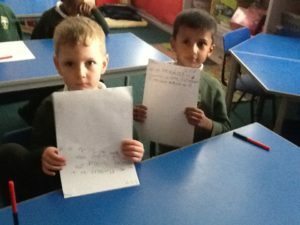 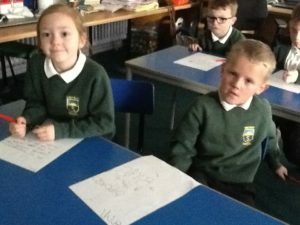 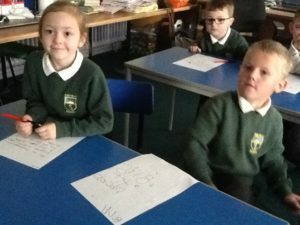 We would like to keep our class laid out like a Victorian Classroom, in rows, for the time being….some of us really enjoyed pretending to be the strict teacher and quiet pupils and want to do it all again tomorrow!